It's Hip To Be Green® Men's Organic Cotton T-shirt Men's Organic Cotton T-shirt It's Hip To Be Green ® T-shirts! Our Ethical Clothing 100% Organic Cotton T-shirt line is now available for purchase. We are so excited from the wonderful feedback we are getting from customers. They love the feel, softness, chic design and lower neck line. They truly are luxury Ethical T-shirts. Produced in the USA and sustainably produced with high ethical standards, and printed with low impact dyes, our t-shirts walk the talk on Being Green! 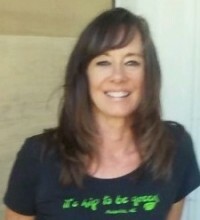 Our sustanable clothing It's Hip To Be Green® T-shirts make a wonderful gift to show your support on the Green movement. Be Green, Live Green isn't just a fad, it is a not so new trend that is growing. Show your support, wear Ethical T-shirts. Men's Organic Cotton T-shirt It's Hip To Be Green ® T-shirts! Our Ethical Clothing 100% Organic Cotton T-shirt line is now available for purchase. We are so excited from the wonderful feedback we are getting from customers. They love the feel, softness, chic design and lower neck line. They truly are luxury Ethical T-shirts. Produced in the USA and sustainably produced with high ethical standards, and printed with low impact dyes, our t-shirts walk the talk on Being Green! Our sustanable clothing It's Hip To Be Green® T-shirts make a wonderful gift to show your support on the Green movement. Be Green, Live Green isn't just a fad, it is a not so new trend that is growing. Show your support, wear Ethical T-shirts. A one-time price of $28.95 will be added to your order. Our T-shirts come in Men's and Women's sizes printed on 100% Organic cotton, Eco black color and It's Hip To Be Green on the front. More styles and colors coming soon. We are so excited to be bringing our trademark brand to the market. Buy them now for friends and family, and one for yourself. Being Green is such an important message, it is an extremely important cause to get people on board, our hopes that this message will become more common, start a conversation and stimulate interest in creating a more sustainable, clean and healthy earth for ourselves and generations to come.